Community service and welfare of individuals and society is one of the core values inculcated to the students at Institute of Administrative Sciences (IAS) evident with the public management courses being offered. Aligned with the aforementioned culture at the institute, IAS steps ahead to sign a memorandum of understanding (MoU) with Rizq – a social enterprise on a ‘compassionate ambition’ of eradicating hunger and poverty from the underprivileged segment of the society. Rizq is Pakistan’s first food recovery and distribution service founded by three youngsters a couple of years ago and works with the collective wisdom of ‘share food’. Rizq is operational in three cities for now and is expanding its outreach to more areas. Rizq collects un-used/left-over food from hotels, restaurants and homes, ensures its quality and freshness, packs and deliver to the people who do not have their own means to arrange for their daily meals. 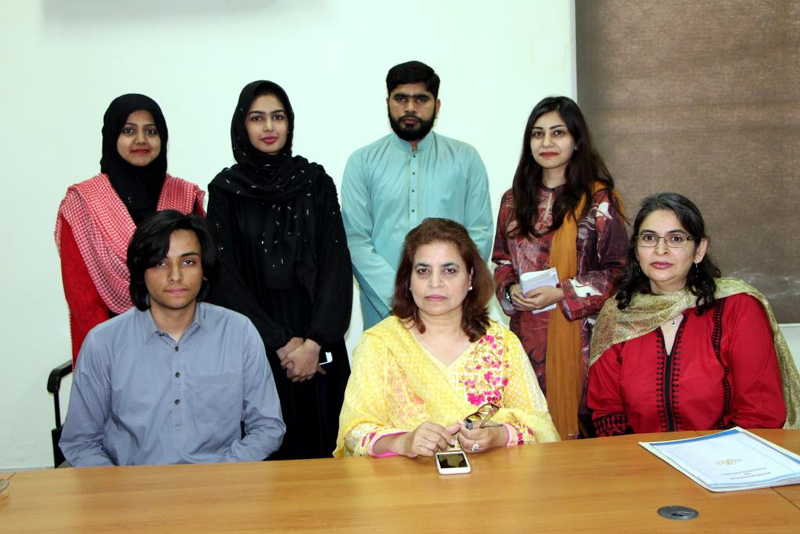 Recently, Rizq has launched a program – Alliance of Students Against Poverty (ASAP) where they would recruit students as interns and associates to work with them for this noble cause. Working closely with Akhuwat for the clothes bank, shoe collection drive and installing water coolers at the university pathways are few of the community projects where IAS students have been contributing. 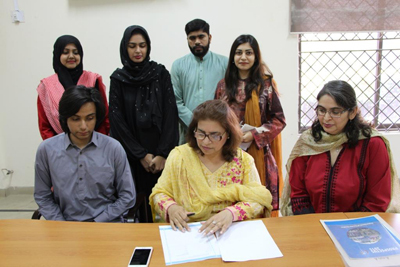 MoU with Rizq would open more windows of opportunities for the students to work for a cause. At the signing ceremony, Prof. Dr. Nasira Jabeen – Dean FEMS & Director IAS welcomed the core team members from Rizq – Mr. Shahmeer ul Haq and Ms. Hajra Fayyaz, where Prof. Dr. A. R. Jafri, Ms. Saba Muhammad, Mr. Shahzad Ahmad, Ms. Sameen Zaki and Ms. Taashan Fatima (BS student) joined. 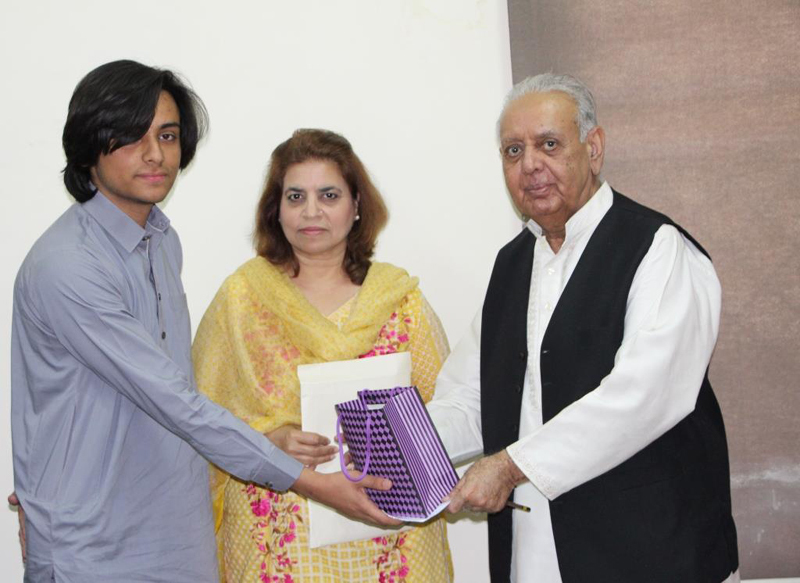 IAS greatly acknowledges the efforts of Ms. Taashan to bring Rizq for this collaboration with the institute. After signing of the document from both the parties, token of appreciation was exchanged alongwith a group photo.